If one asks you “Who's the cutest yokai*?”, reply “Keukegen" without any hesitation. 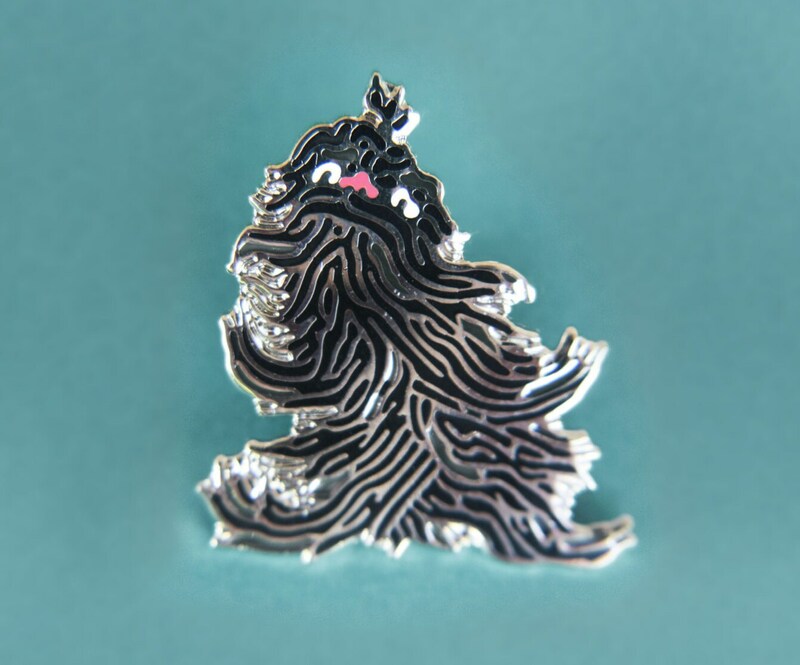 Pictured on this pin in a black and grey version, with a little pink nose and white eyes, he is reminiscent of your grandmother’s yorkshire terrier. Although he is kind of a fancy and malicious version of it. This little japanese monster is notorious for sneaking into houses and making people sick. Wearing it on your jacket will attract curiosity and sympathy! 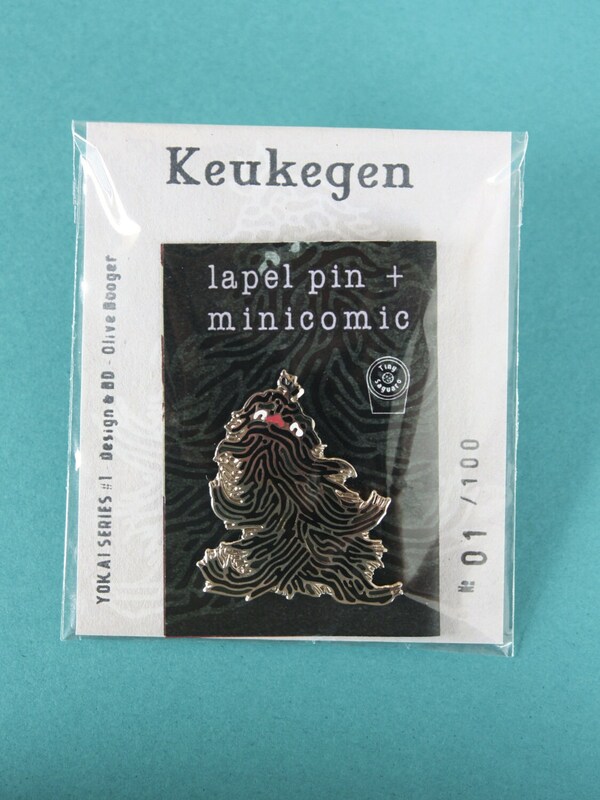 Like all other Tiny Saguaro pins, Keukegen comes along with a 8 pages mini comic (in French). Also included: a hand printed card. Keukegen is a creature that resembles a small dog covered entirely in long hair. 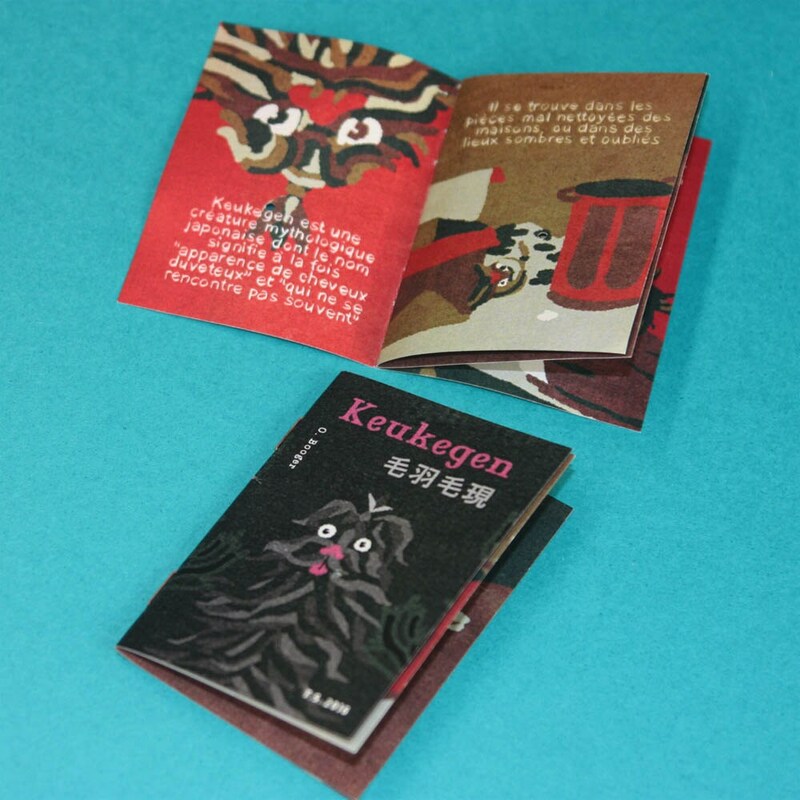 Its name is a pun - when written with different kanji (希有怪訝), keukegen means "an unusual thing which is rarely seen". According to one report, the keukegen is a disease spirit which lives in damp, dark places and causes people in the house to get sick. This is a wonderful creepy little pin, and Eleonore and Olive both wrote me a note and made sure I got an English translation of the minicomic that came with the pin. I really appreciate the effort they put in. The pin and it is so well made and totally adorable. I really love it. It arrived surprisingly quickly. The packaging was also so super cute that I saved it. Great seller. 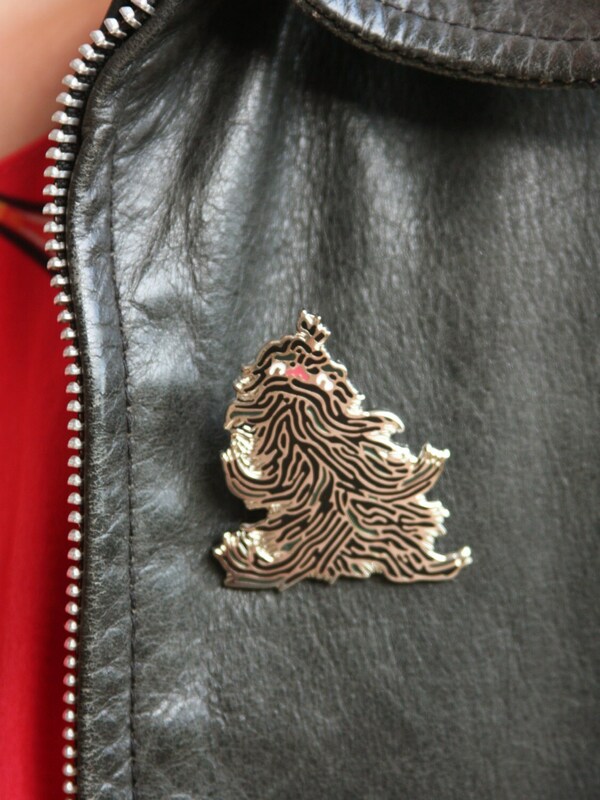 Great little adorable monster pin that really attracts attention. Celui-ci est le plus farfelu et porte en lui la bizarrerie japonaise si étrangère à nos esprits occidentaux; je l'aime beaucoup aussi ! L'objet est agréable au touché, massif. 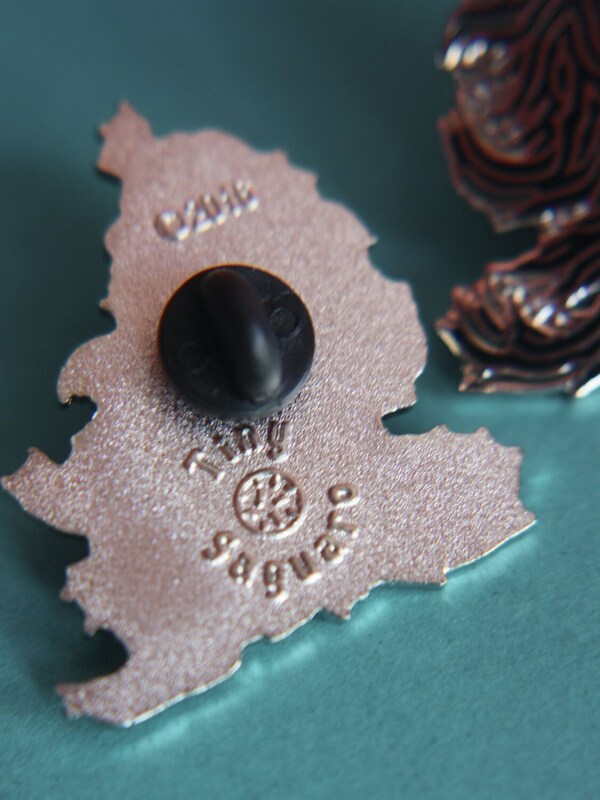 Lovelly pin and great service, will get something from here again.